Researching a new WordPress hosting provider can be time-consuming and confusing. Basic features and factors such as pricing, number of installs, backups, etc., are generally easy to find. But when it comes time to dive into the nitty-gritty behind the scenes stuff, this is where it can get more complicated. Most of the time you’re just needing to see if a host ticks all your boxes and would be a good fit for your business. 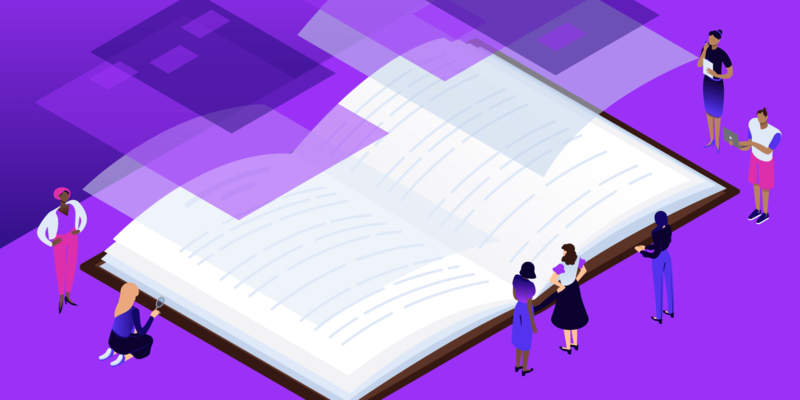 To hopefully help make your decision a little easier, we’ve compiled all the most common technical questions about Kinsta in one place. Many of the questions below come directly from our sales team and are sorted, for the most part, in order of most frequently asked. Click on a question below to jump directly to the answer. How Much Faster Will My Site Be on Kinsta’s Platform? Can I Try My Site on Kinsta for 3-4 Days to See the Performance Differences? Can I Use a Caching Plugin? How Does Kinsta Handle Caching for WooCommerce and EDD? Does Kinsta Offer Reseller/White Label Solutions? How Soon Can You Do a Migration? How Long? Will My Site Be Down? Can We See the Performance Benefits Before Pointing DNS to Kinsta? Can I Run Load Tests? Does Kinsta Provide Free Migrations and/or Additional Migrations? Can I Use My SSL Certificated Purchased From My Domain Registrar? Does Kinsta Have Staging for Multisite Environments? On Staging, Can I Only Push the Database Live? Can I Add Other PHP Scripts? Can I Host HTML Sites? Do My Sites Get a Dedicated IP? What Are PHP Workers? How Do I Know How Many I Need? Do You Have a List of Banned Plugins? Will Kinsta Host My Emails? Does Kinsta Have Git Support? Does Kinsta Offer Load Balanced Solutions (Multi-Location)? Can I Have More Than One Database? Can I Add a Custom Domain with the Kinsta CDN? Is Kinsta HIPAA or PHI Compliant? What is a Considered a WordPress Install at Kinsta? How Does Kinsta Count Multisites? How Much CPU and Ram Does Each Plan Have? Why Is Kinsta So Expensive? Should I Use Cloudflare or the Kinsta CDN? While not universally true, nearly all sites we migrate over from other managed WordPress hosting providers run faster at Kinsta. Check out our case study with SkyRocketWP. They came to Kinsta searching for speed for their clients, and they found that and much more. They ended up moving over 100 sites to Kinsta from WP Engine and saw on average a 49% decrease in page load times. Or WP Buffs, who saw their page load times cut in half. Just by switching to Kinsta and activating our built-in CDN, they were also able to cut their bounce rate down by an average of 21%. Kinsta utilizes Google Platform and their premium tier network to ensure lightning fast network speeds. You can choose from any of our 19 global data centers. Placing your site closer to your visitors helps decrease latency and TTFB, while ensuring lightning-fast load times. Pair that with our HTTP/2 CDN, the latest versions of PHP 7, and our isolated container technology; we’ve got the best performance stack in the industry. Can I Try My Site on Kinsta for 3-4 Days to See the Performance Differences Compared to My Host? We proudly stand behind our service and have a 30-day money-back guarantee on all plans (including add-ons). If you cancel your hosting account during the first 30 days of service we will issue a full refund. This means you can try out Kinsta risk-free for 30 days! If you cancel your subscription after the first 30 days we’ll still refund the unused portion of your plan’s subscription. This includes both monthly and annual plans. There are no long-term contracts at Kinsta; you can cancel your subscription at any time. If you need additional storage (disk space), PHP workers, or WordPress installs, you will need to upgrade your hosting plan. However, we have found that in many cases, WordPress users severely overestimate the amount of disk space actually needed. All of our hosting plans have been allocated resources and limits based on the average disk space usage we see from our own clients (both small and large). Read more about this. Of course, there are always exceptions to this. In which case, a cheap and effective alternative is to offload your big files to separate storage services such as Amazon S3 or Google Cloud Storage. This is a great way to keep your hosting costs down. We have many clients that do this. We do have higher Enterprise 3 and 4 plans available. You can check with our sales team regarding the amount of disk space, PHP workers, and the number of installs allocated to each. Kinsta doesn’t allow caching plugins because we already have four types of cache, which are all automatically done at the software or server-level. This is controlled by our Kinsta MU plugin which is installed, by default, on all WordPress sites. Read more about how Kinsta handles caching. We have server-level caching rules already in place for popular ecommerce solutions such as WooCommerce and Easy Digital Downloads. By default, certain pages that should never be cached, such as cart, my-account, and checkout, are excluded from caching. Users automatically bypass the cache when the woocommerce_items_in_cart or edd_items_in_cart cookie are detected to ensure a smooth and in-sync checkout process. If there is an additional section of your ecommerce site that needs to bypass the cache, you can always reach out to our support team. We do not offer your typical reseller plan at the moment. Although, many agencies use Kinsta and sell hosting to their clients. Our multi-user permissions make this easy. We also do have white label options on our Kinsta MU plugin which is by default installed on all WordPress sites. You can also earn passive income by referring clients to Kinsta by joining our affiliate program. How Soon Can You Do My Migration? How Long Does It Take? Will My Site Be Down? After signing up you’ll be able to request a hands-off migration immediately from our MyKinsta dashboard. We’ll get in touch, discuss the details, and schedule a migration window that works best with your schedule. We will complete your migrations as soon as possible, typically within 24 hours, but it could take up to 3 business days. You’ll be notified of your migration status by our team and you can track the status in our MyKinsta dashboard. Moving your site to Kinsta usually won’t incur any downtime. Sites that are updated continuously, such as ecommerce (WooCommerce and Easy Digital Downloads), membership, and community sites, must be placed into maintenance mode during migration to prevent data loss. Read more about this. Our team will notify you when they’re finished along with how to preview your site before going live. You definitely can test your site on Kinsta before changing the DNS. Here are a couple options. You can add a subdomain like test.yoursite.com, point the DNS of only the subdomain to Kinsta, and then compare it to your current site. You will need to do a quick search and replace on your site for this to work properly. You can take a backup of your site and then use our search and replace tool to update it with your temporary subdomain. Once you’re done testing, you can easily one-click restore your site. Depending on how often data is changing on your live site, you might simply end up doing a fresh migration after you’ve tested. You could also test locally from your location with Chrome DevTools by simply editing your hosts file. There is a big difference between running a website speed test and load testing. Sometimes people confuse the two. A website speed test typically measures PHP (which includes MySQL + PHP) response times. Or in other words, the total load time of a page. Most people use Pingdom or GTmetrix for that and look at the HTML render/wait time, and compare it with their current host. So you can set up with us and put your site on a subdomain like test.yoursite.com and then compare it to your current site on its live domain. Load testing goes above and beyond speed tests and is typically used to simulate certain conditions, such as a high surge of traffic or targeted concurrent users. Unfortunately, automated load testing tools aren’t perfect. If your load test doesn’t simulate realistic user-scenarios from the real world, then it will most likely lead you to the wrong conclusions. We do work with companies that run tests like that on WordPress hosts, such as Review Signal, and there you can see comparisons of us versus others in the industry. They run the tests the right way and have the process down to a science. If you want to run a load test on our platform, we ask that you first reach out to our support team. All of our plans include one or more free migrations. Starter plans require annual payment to be eligible. You can request additional ones by submitting them under Migrations in the MyKinsta dashboard. The cost is $100 per each additional migration and this will automatically be added to your next invoice. For those of you with a lot of WordPress sites, we also offer bulk migration pricing. Through April 30, we are offering unlimited free migrations to all WP Engine, Flywheel, Pantheon, Pagely, Cloudways, and DreamHost customers! See more details. Yes, you definitely can. This requires regenerating the CSR and Private Key from your SSL provider or domain registrar. As each registrar is slightly different, we recommend checking their documentation or opening up a ticket with their support team. Once you have it, you can install the SSL certificate in the MyKinsta dashboard. We also offer free SSL certificates. So unless there is a reason you need your own SSL certificate, it’s much quicker and easier to install our free SSL. We support WordPress multisite installations on our Pro and higher plans. If you’re currently on our Starter plan, you’ll need to upgrade in order to utilize multisite. We can assist with migrating multisites and you can use our free SSL certificates with them, although we do not yet support free wildcard certificates with Let’s Encrypt. Please check this article for additional notes regarding multisite setups. Depending on how your multisite is setup, it may or may not work with our staging environment. Currently, our staging environments only supports pushing everything back to live. However, additional options regarding this are in development. While we will allow you to set up a simple non-WordPress PHP script alongside your WordPress site, we do not provide any support for non-WordPress scripts and applications. You can host HTML sites at Kinsta, however, you will need to reach out to our support team to add a special rule on the server for this to work properly. Note: we don’t provide any additional support for non-WordPress sites. No, we don’t provide dedicated IPs. A shared IP is quite common nowadays with most WordPress hosting providers as for many configurations, there is no need for a dedicated IP address. Check out our in-depth post explaining the difference between dedicated IPs and shared IPs. We do have external IPs. This is the IP address that other servers see when your site connects to another server. For example, if your site connects to a third-party payment processor like PayPal, you might need to provide PayPal with the external IP address so that they can whitelist the IP on their end. Each of the hosting plans at Kinsta includes a certain number of PHP workers. The number included is based on resource usage we have seen with clients over past couple of years. In general, sites with lots of static content – articles, static pages, blog posts – don’t need many PHP workers. See our in-depth article on everything you need to know about PHP workers. Yes, there are certain third-party plugins which we don’t allow in the Kinsta environment. In most cases, this is because they have been known to hurt performance, not work on our platform, or are simply not needed as we provide a better and easier way to do the same thing in our MyKinsta dashboard. Check out the full list of banned plugins. We don’t provide email as a part of our plans since we fully commit all of our resources to WordPress hosting. We always recommend G Suite, one of the world’s best email services, since it has a lot of features for a great price and allows you to use your own domain name. Check out all the downfalls of using your hosting provider for email. We have the Git client available at Kinsta so you can SSH in and pull your own Git repo down from Github, Gitlab, Bitbucket, or any other third-party. However, we don’t yet have the feature released yet where you can just git push kinsta my_site and it automatically gets deployed. Check out how to use Git at Kinsta. At Kinsta, every site on our platform runs in a single Linux container and the site database runs as a service within the site container. We do not run multiple load-balanced instances of each site. Learn more about Kinsta’s architecture. No, we only allow one database per site. This is not currently available. We are working on adding the ability to use a custom CDN URL on your site, such as cdn.yourdomain.com. Kinsta does not guarantee PCI compliance, and we are not able to audit your site to verify that you’re doing things right either. However, that doesn’t mean you can’t be PCI compliant when hosting your website with us. In fact, we have many clients who have worked with third-party auditors to pass PCI compliance scans. In many of these cases, we’ve had to make a few minor adjustments upon request, but these clients have been able to pass the audit just fine after a little fine-tuning on both our end and theirs. Check out additional details regarding PCI compliant hosting at Kinsta. Due to the complex auditing and security needed neither we nor many other managed hosting companies can’t guarantee HIPAA or PHI compliance. Each Kinsta hosting plan allows one or more WordPress installs. A WordPress install consists of a set of files (core files, theme files, and plugin files) and a database. Multisite setups are considered one install each. For example, you could have one multisite with 10 subsites, this is still considered one install because all the subsites in the network share the same installation and database. Kinsta utilizes virtual machines in one of Google Cloud Platform’s multiple data centers. Each machine has up to 96 CPUs and hundreds of gigabytes of RAM. Hardware resources (RAM/CPU) are allocated to each site container automatically by our virtual machines on an as-needed basis. To answer this, we recommend you first read through our Why Us page, where we outline a lot of the differences between us and our competition. Kinsta was the first managed WordPress host to utilize Google Cloud Platform exclusively, and our team knows it better than anyone else in the industry! Our entire infrastructure is built and optimized around it, including features that others don’t include, such as their premium tier network. Not to mention we roll out new data center locations as soon as they are available. We currently offer 19 different locations. We do support different than anyone else. We don’t hire level 1 or level 2 support reps. Our team is comprised of only the best Linux engineers and WordPress developers. You get to chat with the same team members that support our Fortune 500 companies! This means fewer frustrations, less bouncing around, and ensures you get your problems resolved fast. We are available 24×7 365 days a year. Cloudflare and the Kinsta CDN each have their own advantages and disadvantages. Cloudflare’s basic CDN feature is completely free. Cloudflare is a great way to reduce bad bot traffic and save money on your hosting bill. Cloudflare requires that you change your DNS to point to them first. This requires additional setup. Because Cloudflare is a reverse proxy service, it will add a slightly higher TTFB to your initial requests. This can be prevented with full page caching rules, but this requires additional setup. The Kinsta CDN is blazing fast and provides the lowest TTFB as possible around the globe. Kinsta includes a certain amount of free CDN bandwidth with each hosting plan. You can access CDN analytics directly in the MyKinsta dashboard. SSL configuration and setup is a single click. No DNS changes required. The Kinsta CDN will reduce bad bot traffic, but not as much as Cloudflare because the Kinsta CDN is a traditional CDN, not a reverse proxy service. Below are the settings, server software, and versions used on Kinsta’s hosting platform. Kinsta utilizes NGINX as a web server, currently running 1.15.7 or higher. Kinsta utilizes MariaDB 10.1.37 or higher. If you have any other technical questions we’ve perhaps missed, make sure to leave it in the feedback form below. 👇 Or you can always contact our sales team.